I have been working with Pirashanna since we were teenagers back in 2001. We have performed literally hundreds of concerts together. He has an incredible stage presence and both an extraordinary technical and improvisational skill as an accompanist, in a range of genres and on multiple instruments. He is a highly talented percussive musician and a pleasure to perform with. Pirashanna is the kind of modern virtuoso musician that has one foot so firmly rooted in tradition that he has no fear traveling far and wide with the other. 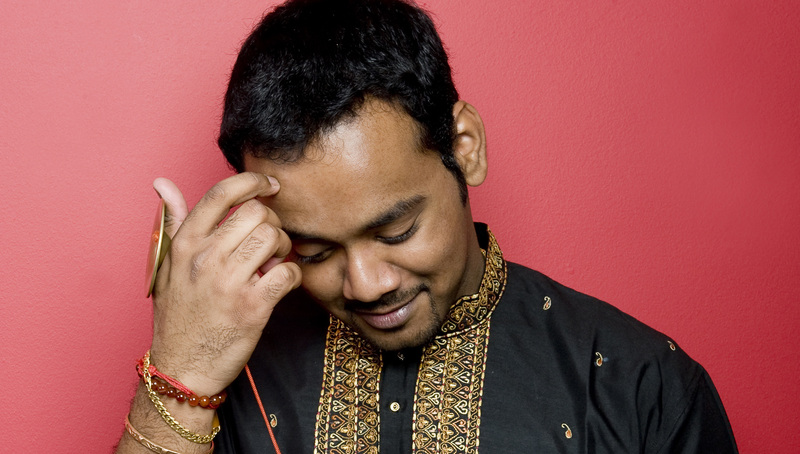 Pirashanna Thevarajah possesses not only a technical mastery of South Indian percussion but a profound emotional and musical intelligence which continues to amaze and touch me on so many different levels. He is a musician of extraordinary breadth and power and I have no doubt that he will achieve further greatness on his artistic journey. What can I say about Pirashanna? His versatility, his understanding of so many different genres and his ‘one take’ genius in the studio makes him the best to work with! Plus, he’s the only person I know that makes a damn good cup of tea!